In addition to unparalleled advocacy efforts and top-notch educational training, the Federal Managers Association (FMA) offers membership benefits to meet nearly all of your needs. Here are some of the exciting benefits and services available to FMA members! Contact the FMA National Office at (703) 683-8700 or info@fedmanagers.org with any questions. • Two 30-minute free telephone consultations about legal issues concerning your federal employment, retirement, or estate planning and taxation issues. The second consultation cannot be related to the first consultation. • A five percent discount if you choose to retain the firm of Shaw, Bransford & Roth for additional legal services. To access these benefits, you will be required to provide your FMA membership number. To contact the law firm write to: hotline@shawbransford.com (preferred) or call 202-463-8400. State you are a member of FMA and ask for your free 30-minute consultation. Retail Benefits Program -- Earn cash back on purchases of more than 300 million products from more than 5,000 leading merchants. Browse thousands of leading retailers from Best Buy to Travelocity to Target, and countless others: the same stores you're shopping at today! FMA members now have access to an online shopping portal created just for them where they can earn cash back. That’s right! Retailers pay you – the shopper – between 1% - 40%. That is cash paid directly to you, no strings attached! Visit fedmanagers.retailbenefits.com to enroll today. FMA Worldwide Travel Discount Program -- FMA members, friends and family now have access to a worldwide inventory of hotels and rental cars at exclusive discounted rates. Save time and money: let us negotiate the best deals and comparison price for you.Click here or call 800.892.2136 and provide code "FMA." Gott Professional lnsurance Services (G.P.I.S.) -- The licensed insurance and financial professionals at G.P.I.S. offer FMA members free federal Benefit and Retirement training classes and personal analysis reviews. Our training program explains how your federal benefits work now and into retirement. These classes are offered at both the regional and chapter meetings. Our free personal reviews are conducted one-on-one to assist members and determine what options and strategies would best fit their individual needs. GEICO Preferred Insurance -- GEICO offers Federal Manager Association members’ quality discounted auto, homeowners, renters, condo/co-op, and boaters insurance with complete 24-hour sales, policy, and claims service. As a member, you may also qualify for a FMA member discount. In addition to Geico’s already low rates, when you conveniently bundle insurance products together. The member discount is available in most states. Call GEICO today for a free rate quote at 800.368.2734. Complete a free on-line rate request and FMA receives a commission! Long Term Care Insurance -- As a member of FMA, you understand the importance of planning for the future. But, have you really planned for everything your future might bring? The Federal Long Term Care Insurance Program (FLTCIP) is sponsored by the federal government and is intended to help enrollees and their loved ones defray the high costs of long term care. Get a personalized quote by calling FLTCIP at 800-LTC-FEDS (800.582.3337). Professional Liability Insurance from Federal Employee Defense Services (FEDS) -- FEDS provides professional liability insurance for federal managers. With today’s issues affecting the exposures of federal managers to allegations, investigations, disciplinary actions and lawsuits - you can’t afford not to have it! To ensure your protection, your agency will even pay up to half the cost for this insurance. Join today at www.fedsprotection.com or by calling 866.955.FEDS - and make sure to note your affiliation with FMA to receive a $10 annual discount. Use code: FMA@Work. American Public University System-- FAmerican Public University (APU) and American Military University (AMU), to support the educational and career development goals of FMA members. Feds can now earn degrees & certificates more easily in mission-critical occupations like contracting & acquisition, cybersecurity, digital forensics, engineering, and human resources management. As a strategic partner, APUS is proud to offer the following benefits to FMA members: 5% Tuition Grant per course registration, Transfer Credit Evaluation Fee Waiver ($50 savings), and an Undergraduate Book Grant. And because APUS’ combined tuition, fees, and books are roughly 17% less for undergraduate, and 37% less for graduate students than the average state university, FMA members can maximize their agency tuition benefits. Click here to find out why more than 100,000 students around the world choose APUS. FMA Scholarship Fund -- FMA has awarded academic scholarships to deserving candidates for more than two decades thanks to generous contributions from FMA members. Scholarships are available to all FMA members, dependents, spouses, and grandchildren. Instructions and a complete application can be found in each year’s winter issue of The Federal Manager. To contribute to the FMA Scholarship fund, please click here. 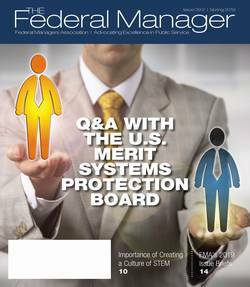 The Federal Manager magazine-- Members receive a free subscription to FMA’s informative quarterly publication, updating federal managers on management-related topics, professional development, and current or potential legislation affecting them. The Washington Report-- A must for federal managers! 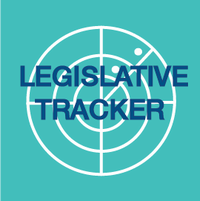 FMA’s member-exclusive e-newsletter details FMA's latest efforts and developments on Capitol Hill and other matters that affect your career. If you are not receiving the Washington Report, email the FMA National Office (info@fedmanagers.org) and provide your preferred email address. FEDmanager.com -- FEDmanager provides a free weekly e-newsletter designed specifically for federal executives, managers and supervisors, highlighting the latest news and regulations that are helpful for federal managers in managing the workforce. It also covers tips on maximizing your federal career and important information about your pay and benefits. Join nearly 50,000 federal managers and supervisors who are already in the loop and subscribe to the free weekly e-newsletter at FEDmanager.com.